Smart lad, Bosworth. 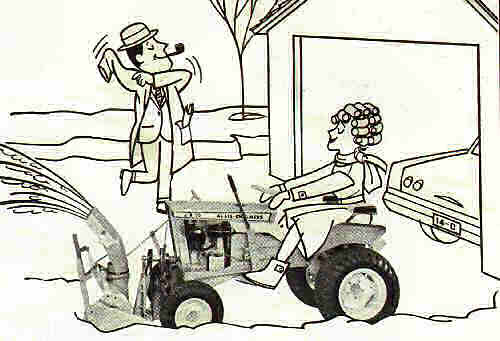 Mavis recalls how he gently took her old snow shovel from her and pressed into her palm the key to her shining B-10 tractor. "It clears a path a full yard wide," he whispered. How long since you were as thoughtful of your wife? Try a little tenderness -- send in the coupon right new!